Lawrence Miller, Vermont’s health care reform chief, says the state of Vermont is going to cut Jonathan Gruber’s pay, but keep his $450,000 contract, according to the Burlington Free Press. Miller said that he had informed Gruber over the phone about the changed terms of the contract, and that Gruber had agreed to those terms. Under Vermont law however, and under the terms of the personal services contract #27277 between Vermont’s Agency of Administration and Jonathan Gruber, signed by Gruber and Secretary of Administration Jeb Spaulding on July 16, 2014, the contract cannot be amended unless the amendment has been signed by both parties and subsequently approved by Vermont’s Attorney General and Secretary of Administration. Breitbart News contacted Mr. Miller’s office, the Vermont Attorney General’s office, the Secretary of Administration’s office, and Jonathan Gruber asking to see a signed copy of the amendment to the contract, approved by all parties. None of these parties have responded nor have any of these parties produced the approved amendment to the contract. The state of Vermont’s claim the contract’s terms have been altered is not supported by any evidence that proves it has been altered. The failure of the state to produce that evidence strongly suggests it does not exist. If no amendment exists, this would mean that, legally speaking, Gruber’s contract with the State of Vermont would remain in force without a single change to any of its terms, including the provision for payments. “Specifically, the Agency of Administration is contracting for policy expertise and economic modeling to understand and assess the impact of moving from the current health care coverage and finance system to a publicly financed [single payer] health care system in accordance with Act 48 of 2011,” the contract reads. Either party can cancel the contract on 30 days notice, but the contract does not allow for unilateral changes to the payment terms based on conduct of one of the parties that occurred beyond the scope of the contract. No official of the state of Vermont has alleged that Gruber has failed to perform the duties specified in the July 16, 2014 contract. Instead, Miller and Governor Peter Shumlin (D-VT) have cited offensive statements made by Gruber prior to the signing of the contract on July 16, 2014 as the reason he would no longer be paid. Those statements have surfaced in a series of YouTube videos. “As the Governor and I have said, the comments by Mr. Gruber are offensive, inappropriate and do not reflect the thinking of this administration or how we do things in Vermont,” Miller stated, according to the Burlington Free Press. But that reason is one not provided as a basis for either termination of the contract or unilateral altering of its terms. “I’m not willing to go there yet,” Benning told Breitbart News. “They’re telling Vermonters they’re cutting ties to Gruber,” Turner said. “That’s the smoke. But he’s [Gruber] still in the back room doing the work,” Turner concluded. Under the contract, Professor Gruber will be paid up to $450,000 for work designed to deliver a report to the Vermont legislature that provides an assessment of the economic viability of Vermont’s proposed Green Mountain Care, a yet-to-be-realized health care program that would, in effect, turn the state into a single-payer health care provider. Vermont’s Obamacare health care exchange, Vermont Health Connect, is separate from the Green Mountain Care project. Vermont Health Connect has been plagued by problems, and has only recently gone back on line, after being shut down back in July. 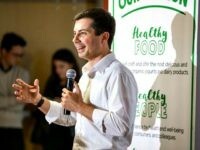 It is unclear whether or not Gruber received an earlier contract with the state of Vermont to provide economic consulting services related to the implementations of Vermont Health Connect. Gruber has received similar contracts with at least seven other states. 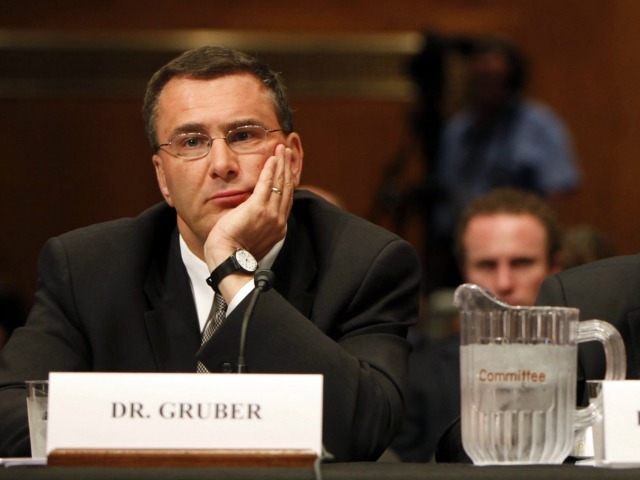 The way ACT 48 (Green Mountain Care) was passed in 2011 and subsequently implemented with no transparency mirrors the deception in Washington surrounding the passage of Obamacare, according to critics, who are honing in on Gruber’s critical involvement in both. Of Gruber’s $450,000 in payments in the July 16, 2014 contract, $50,000 was allocated for subcontracted work to Moody Analytics. Gruber individually is scheduled to receive $400,000. These funds are paid by the state of Vermont to Gruber against invoices submitted which specify the time he has worked and the time his programmers have worked on the project. The contract specifies that Gruber will be paid $500 per hour and his programmers will be paid $100 per hour. Under the terms of the contract, the state withholds 20% of all payments invoiced until after the work product of the contract has been accepted. According to press reports, Gruber has already been paid $160,000, which means that he has submitted $200,000 of invoices, and the state of Vermont has withheld 20% of that amount, or $40,000 for payments to be made on the delivery of the work product. Despite Miller’s statement on Wednesday, Gruber is likely to receive this additional $40,000 in payments after he or his associates deliver the January 15, 2015 report specified in his contract.